Another beautiful home by Discover Homes, LLC. This 4BR or 3BR with Optional Bonus Room home is READY FOR NEW OWNERS! It is turning heads with it's English Wedgewood vinyl horizontal siding with shake accents. The home features a large deck which could be partially screened. Concrete slab in crawl space makes an amazing workshop or storage space.The gorgeous kitchen features white shaker cabinets and brushed nickel hardware. The center island is marine blue ! Builder made excellent use of the space with an additional work space in the hallway to the family room. Master bedroom on main level with remaining rooms upstairs. 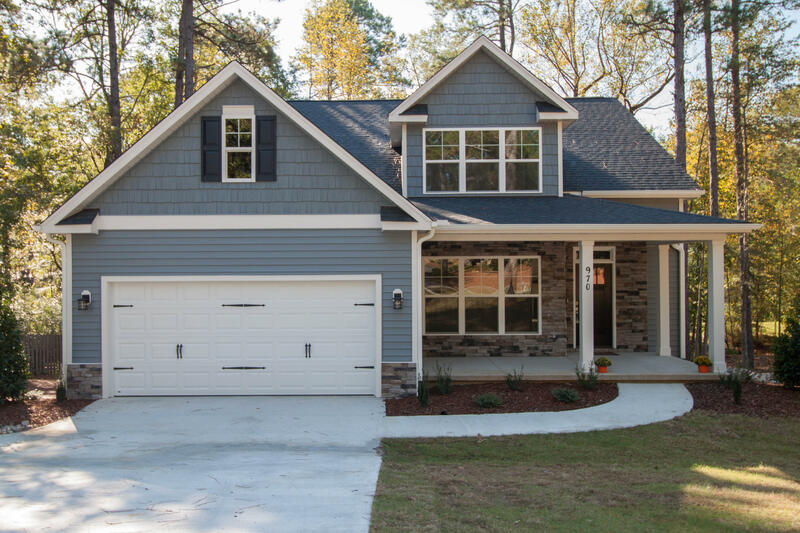 Enjoy the beautiful finishes in this brand new home conveniently located near the heart of Pinehurst and minutes from Southern Pines/Aberdeen. Priced to sell!!! !